If you want to make money, exercise creativity and help others, then you should invest some time in writing the basic “How To” guide. It’s something anyone can produce, and with all the proper ingredients at the right time, you can make a proper living with. The hard part, of course, is getting all the proper ingredients at the right time. Your basic “ How to Guide” is usually two pages in length, sells for $3, and outlines instructions, details, or a “How-To Method” for solving a problem: making more money, saving money, attaining greater happiness, or fulfilling an ambition or desire. These are called folios. Folios is another word for booklets, pamphlets etc. The main difference to remember when creating one is the size and the composition you choose. Folios are generally four pages of content folded in half and have a paper cover. Booklets etc. are longer and their covers are usually card stock and can be bound in a variety of manners such as spiral, combed, saddle stitch or perfect binding. The price also varies, depending on the content and the number of pages. Booklets at minimum at around $5 but can go up to $10. 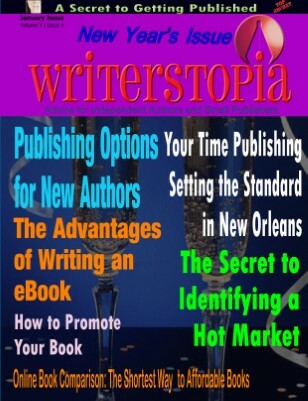 If you are savvy you’ll create electronic versions of the materials which can sell as “eBooks” and they start off at $.99 for a “folio” size and go up to $44 for larger more in depth topics. Any man, woman or child can write a saleable report on any subject – providing he or she has knowledge of that subject through personal experience, research, or both. A lot of women write successful money-making reports based upon better ways of solving household problems. And a lot of men write successful money-making reports on how to get greater pleasure from leisure time activities such as fishing, woodworking or other hobbies. The list of subjects one can write about is endless, and reports on how to make more money easier and faster are no more limited to male authors than expertise in cooking is limited to female authors. Writing your report is easy and quite simple. However, it does take longer, and requires more sweat, blood and anguish for some people to produce a “finished” product than it does others, even if they are equally intelligent and knowledgeable. The best advice anyone can give you on how to write a “how to” guide is to advise you to write as though you were talking to someone – as though you were instructing your next door neighbor via the telephone on the subject at hand. I use the word telephone here to point out that regardless of how much you wave your arms, point your finger, or even draw pictures, you aren’t getting the message across, and your neighbor won’t “see” what you’re talking about until you tell him in the kind of language he can understand. You made some respectable points there. I seemed on the internet for the difficulty and found most individuals will go together with together with your website. Thank you. I hope you are finding the content useful with your pursuits.